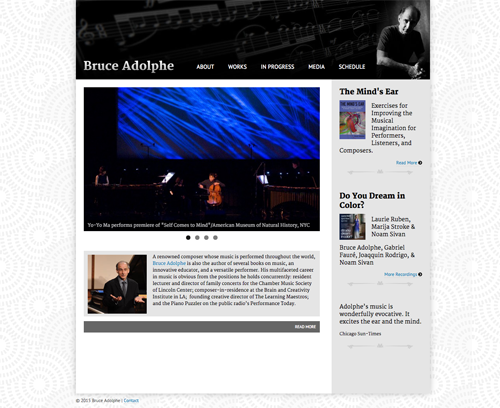 Site for a NYC-based chamber music composer, music educator, author, and just generally brilliant person. 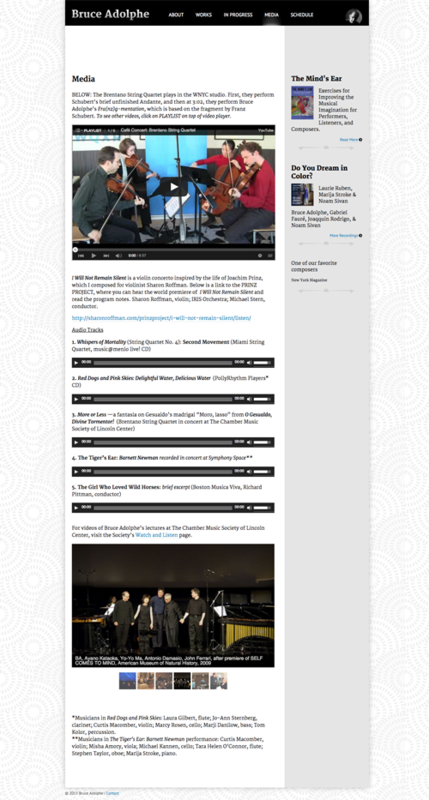 Simple site, made easy to update, featuring custom content areas, video, audio, etc. The site also sports a header bar that takes up less space as you scroll down, in order to optimize the space.